There are new beginnings, and then there are new beginnings. Everyone dreams of starting off with a clean slate, starting afresh, rewriting who you are and becoming who you want to be. Where better to do this than in in a new town and with new people? For Blake Malone this figurative clean slate soon becomes literal. Looking for his new start he arrives in a small town in a remote forest, under unusual circumstances. His new boss is odd, his new colleague more than quirky, and the local bar ventures into a whole new category of strange. The story unfolds swiftly from Blake’s first night in the town, with action, intrigue and a lot more questions than answers to keep you turning the pages. The book takes an interesting approach of switching perspectives from one character to another, which at times slightly cuts the pace and flow. However this ultimately serves purpose, and brings you into a very developed world, much more so than if the narrative had been solely through Blake’s eyes. The story culminates by aligning all these narratives and finally answering most of the questions you had been turning pages for. Yet it cleverly leaves you wanting more. Caitlyn, we want to see more of you! Overall a very fun and enjoyable read, putting an interesting spin on the typical vampire novel, which is difficult to do given the proliferation of the genre. 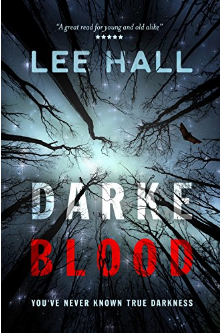 If you were to only read one new vampire book from an up and coming author I would recommend Darke Blood. I received this book for review, but all opinions are entirely my own. This review is also listed on Amazon.co.uk and Goodreads. *No affiliate links, I am just linking to make your life easier! I never seem to have enough birthday cards on hand for those situations when you just need one, and find myself making them last minute. 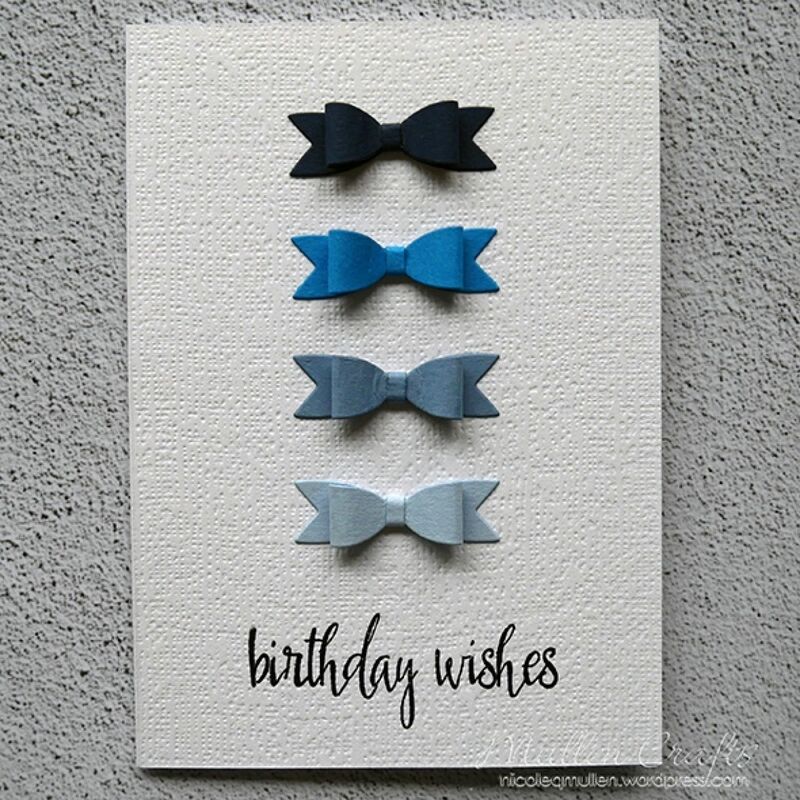 So my aim this year is to try make 2 or 3 birthday cards a month that are targeted at particular demographics, so that my stash of cards is plenty full when I need them. This month I focused on that elusive group – cards for men! I actually find this one quite easy as most men like the clean and simple aesthetic that I quite enjoy doing. I have a full tutorial and supply list over on the Papermilldirect blog. 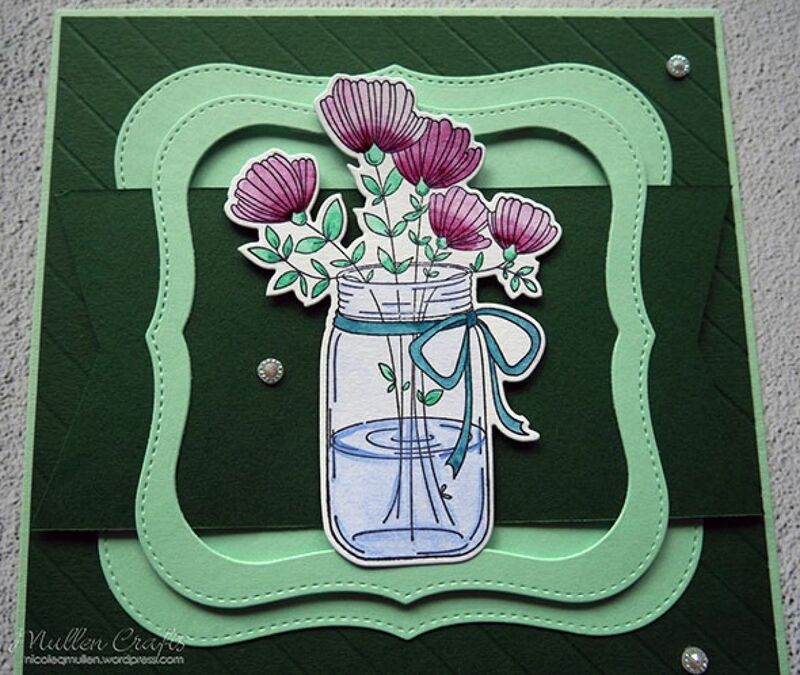 This was a fun card that used up a lot of blue scraps – which I have a lot of! I also love the ombre effect of it, the range of colours that Papermilldirect do allows you to do this effect really easily. 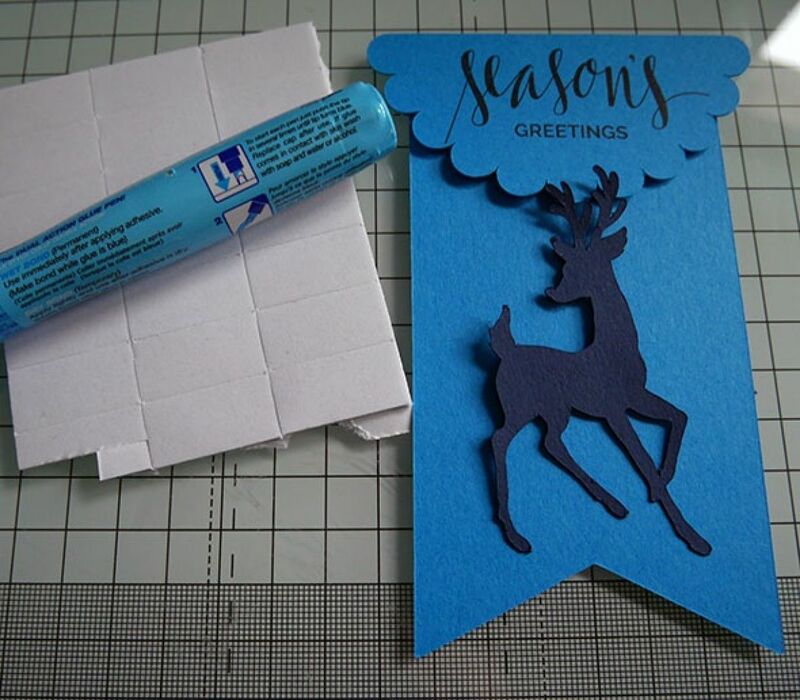 I just wanted to stop by here to share a batch making process to help you get started on those Christmas cards! 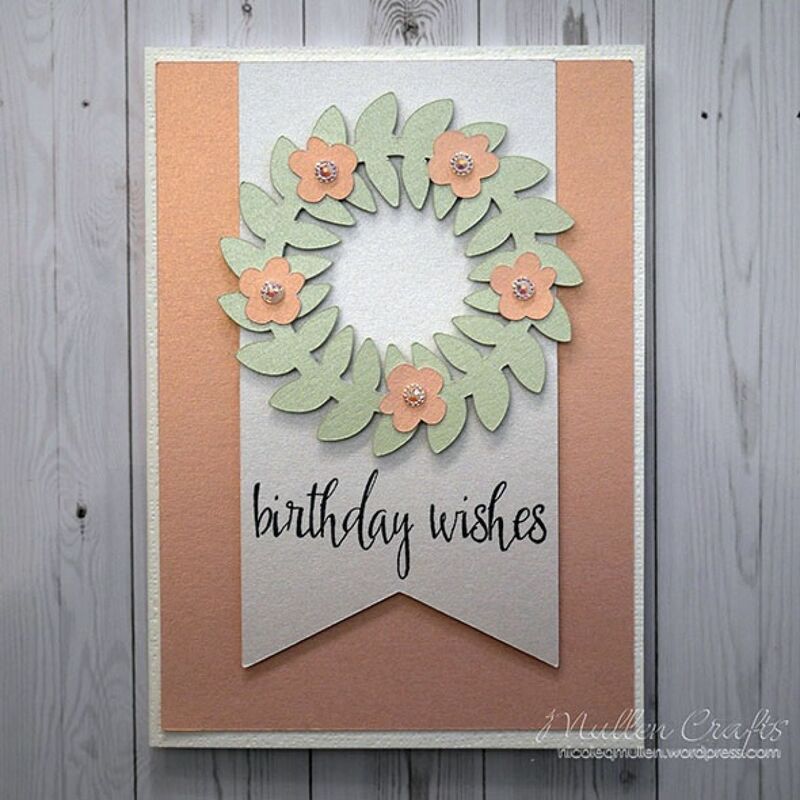 I like when I am making cards to be able to make a few of the same, if I am cutting into a sheet of A4 card. It is more economical with the card and my time! I have a full supply list and step by step tutorial for this one over on the Papermilldirect blog . I am just going to share a few tips and the finished products here today, so make sure you head over and check it out! 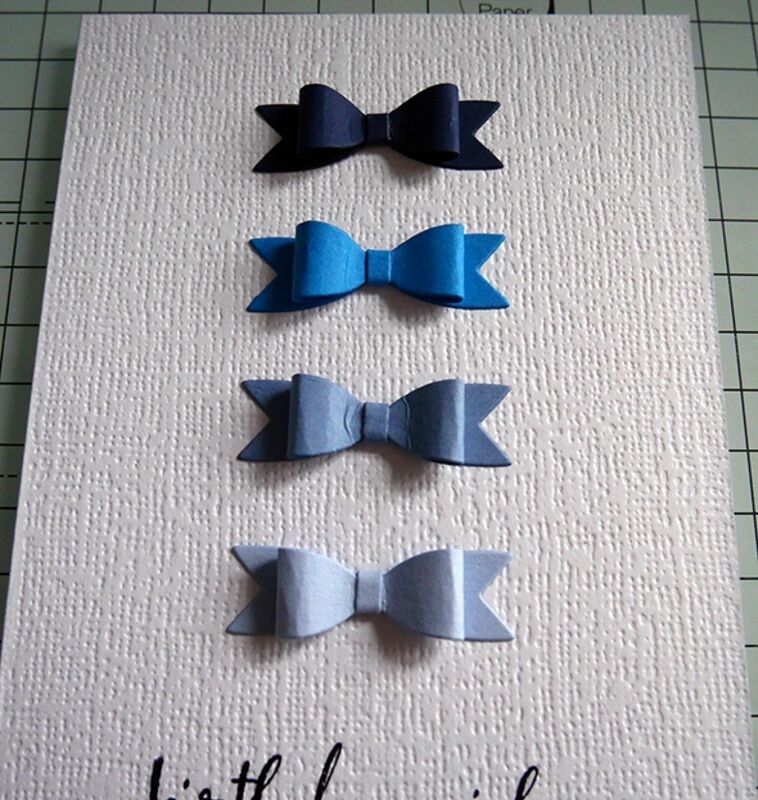 When batch making I start with one colour card and cut all I need from it in one go. In this case I started with the Papermilldirect Navy Card. 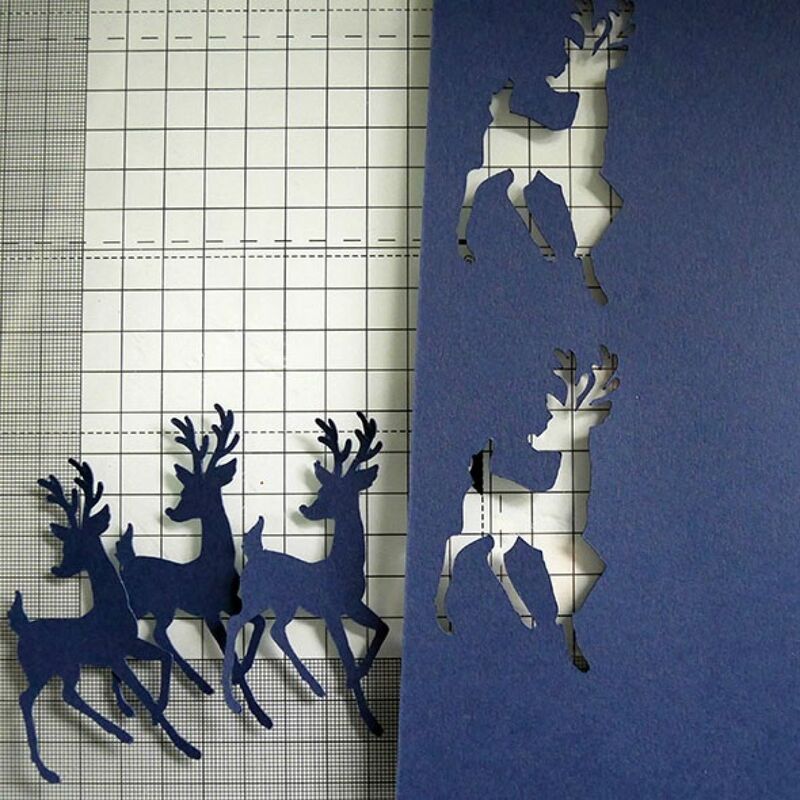 I cut a reindeer SVG using my Silhouette from this. The card cuts so well on the card so even though its an intricate file it cuts perfectly. 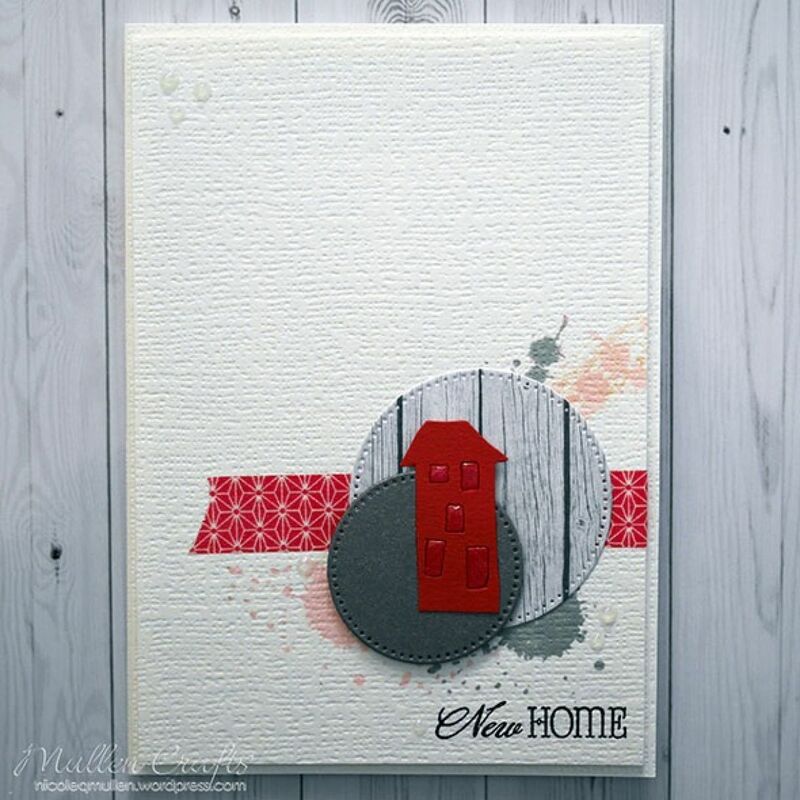 I repeated this for all of my elements, which you can see on the Papermilldirect blog. 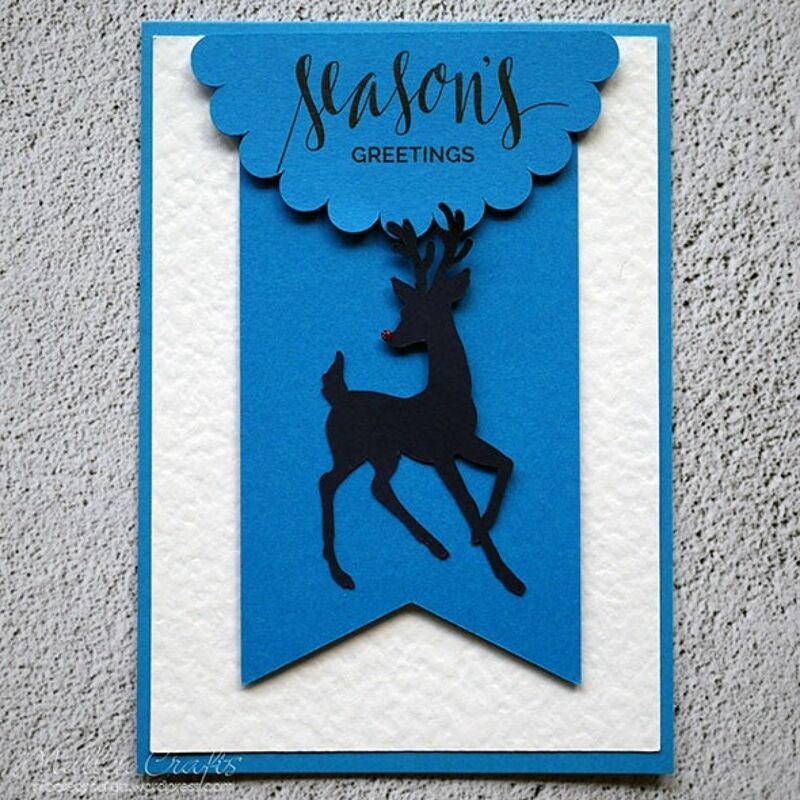 Once I have all my elements I use a combination of foam tape and glue to give a mix of height and dimension to add texture and depth to the card. 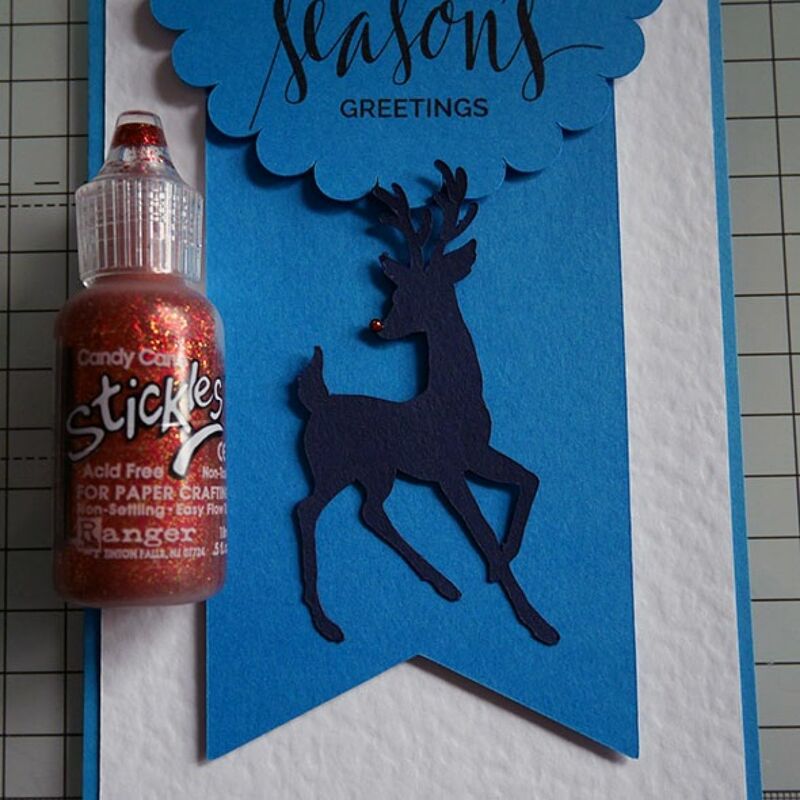 I added the red Stickle’s to the reindeer’s nose for that Rudolph effect! A pop of colour against your colour scheme is always very eye catching and effective. Then its a case of repeat however many times you want and they are done! 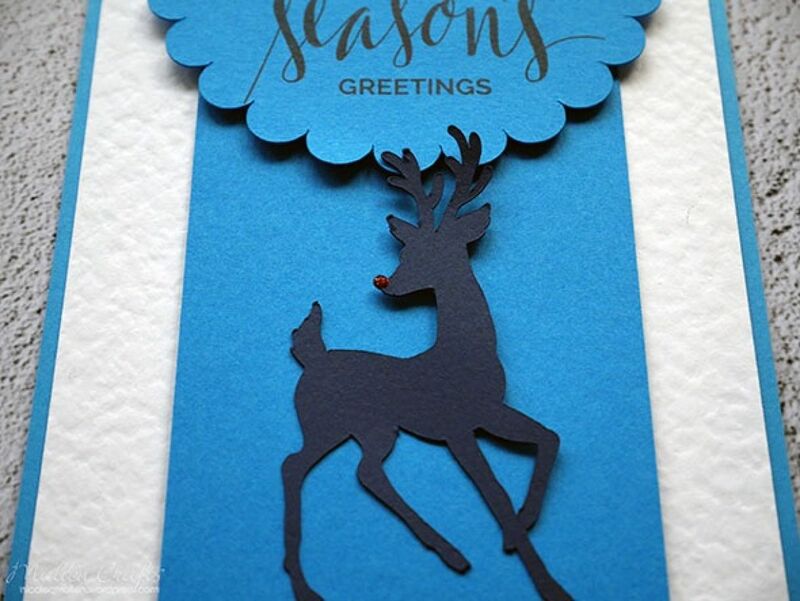 Have you started on your Christmas cards yet? 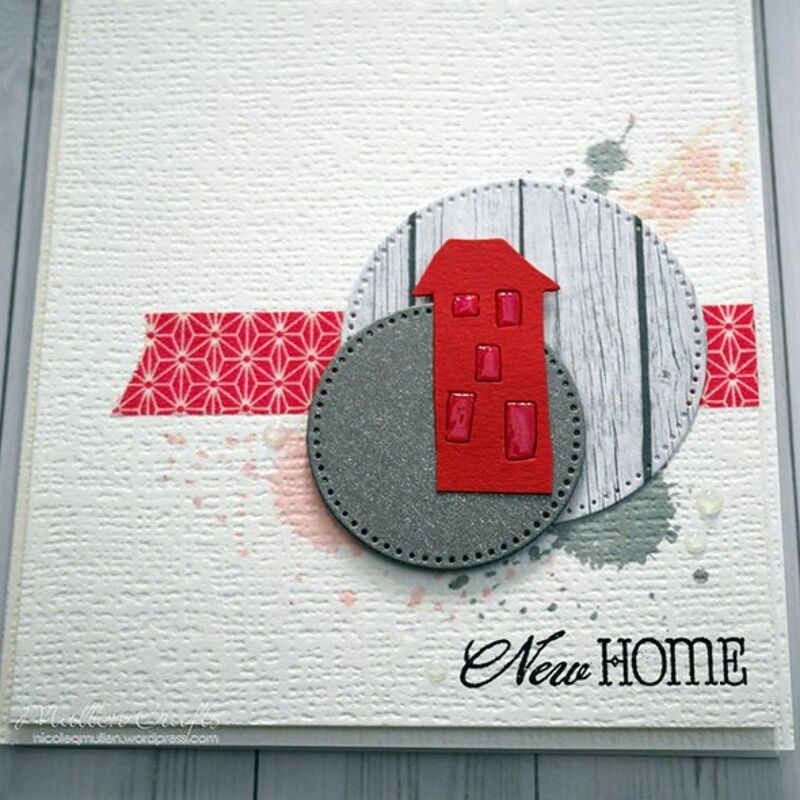 I am stopping by today to share a new home card, using the Papermilldirect textured card. You can see full info and supply list on the Papermilldirect blog. 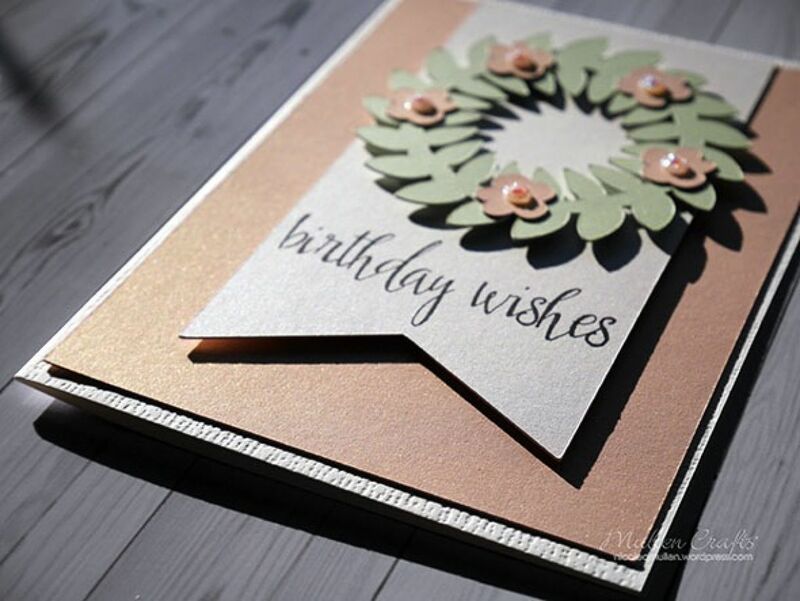 I love using textured card, particularly on projects where I am going for a clean and simple card look. On this particular project I combined a Papermilldirect Hemp textured Card Base with a Hemp layer to work on as the main card layer. This gave a white on white card effect, but with a lot of texture to it. I wanted this card to be very minimal and clean and simple looking. So I cut my circles from woodgrain patterned paper and Papermilldirect Charcoal Card. I laid them on the White Hemp panel where I wanted them to end up which gave me the approximate position for the ink splatter stamp to go. I then stamped these splatters and added the washi tape. Once the tape was on I glued the woodgrain circle down to the white panel and used foam tape to adhere the charcoal grey circle. I then added the red house to this circle with a combination of glue and tape. I then used a shimmer pearl pen to add glaze to the windows on the house, and also to add some translucent pearl ‘drops’ on the card. Overall the texture on the Hemp card really allows this card to work and come together. I love clean and simple cards, and the texture on this one really lets it work well. I combined these three colours as they were soft and complimentary and the shimmer elevated it to the next level. 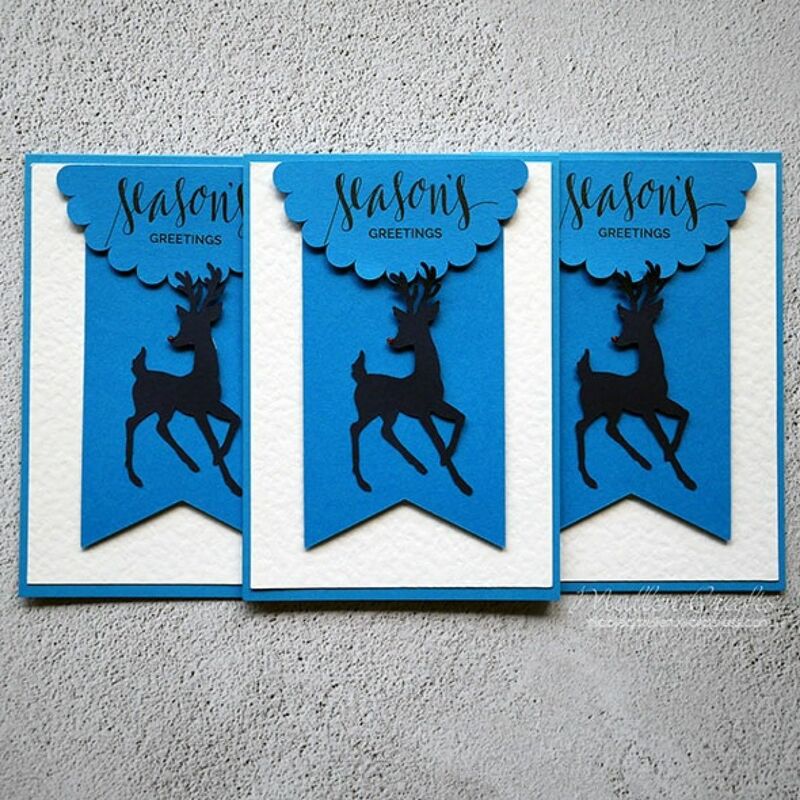 You can see full details of how I put this card together over on the Papermilldirect Blog. I love the lustre on this card, the shimmer is hard to photo, but I think this photo below captures it somewhat. 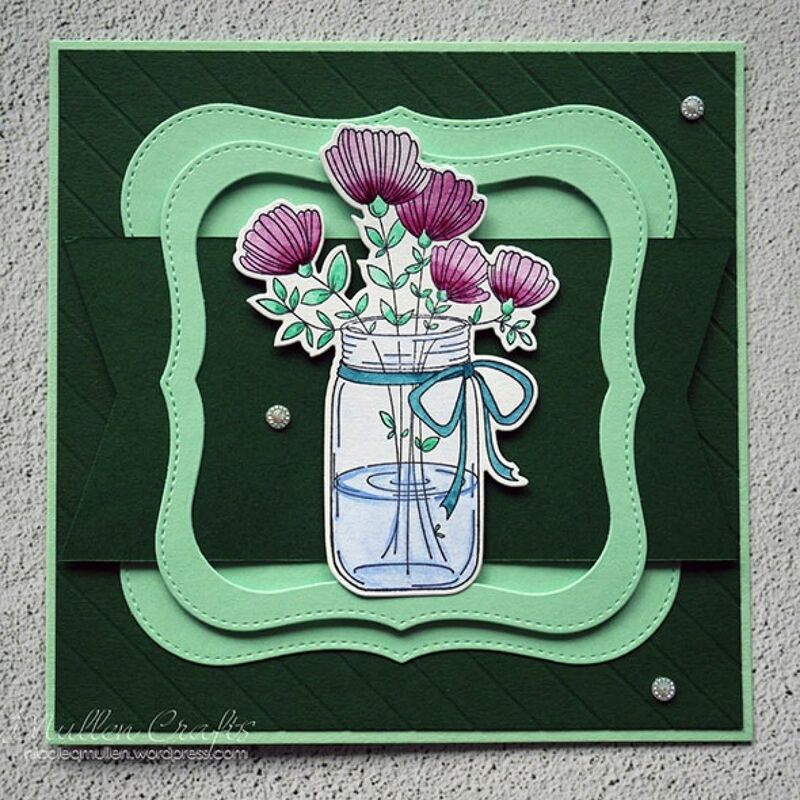 I have this Green on Green card up over on the Papermilldirect blog. I love the white on white card effect, but as soon as I saw this Papermilldirect Spring Green card I knew it had to be a card for my Mother in Law using green on green! It is not usually a colour that I would rush to work with. However green is her favourite colour, and this shade is her absolute perfect shade of it. I paired it with the Papermilldirect Dark Green Card for a nice contrast, and added in a pop of Papermilldirect Smooth White for the image to be water coloured onto. I layered dies, frames and banner shapes on this one for more texture and dimension. I foam mounted the flowers in the jar on top of it all. To add some interest to the dark green background panel I used my score board to add some diagonal lines across it. This is a very simple trick, easy to do, and yet it gives a very big impact. You can see these score lines a little better in the image below. 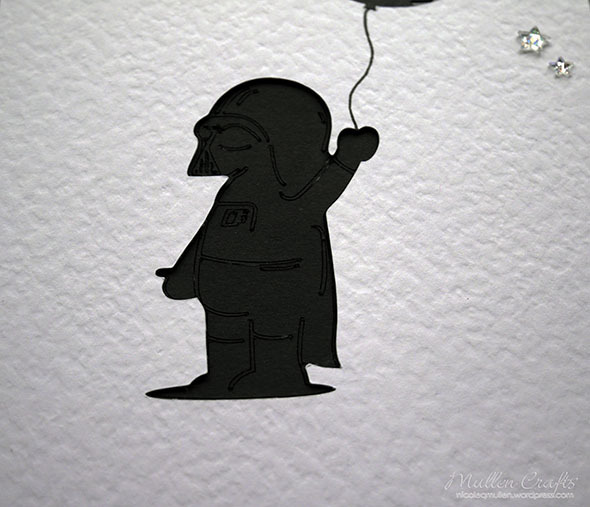 I left the sentiment off the card and added a larger one inside the card, along with the handmade greeting. I felt the card just looked lovely and simple and understated as it was and didn’t want to add anything more to it than the little gems. I hope this inspires you to play with some different colour combinations than usual, and give it a go! 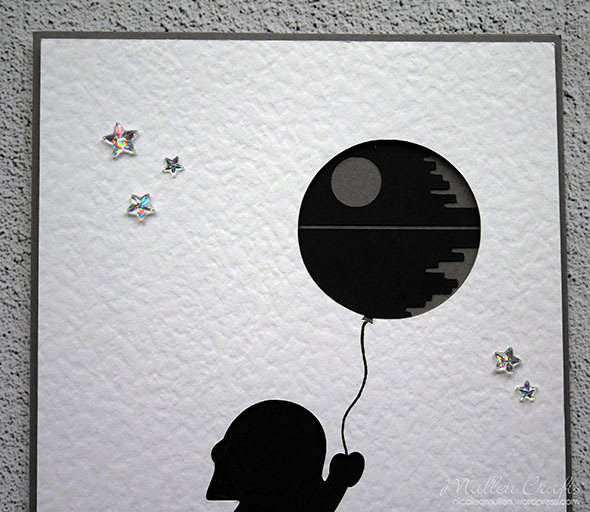 I have this fun card posted over on the Papermilldirect blog showing how I made this Death Star birthday balloon card. 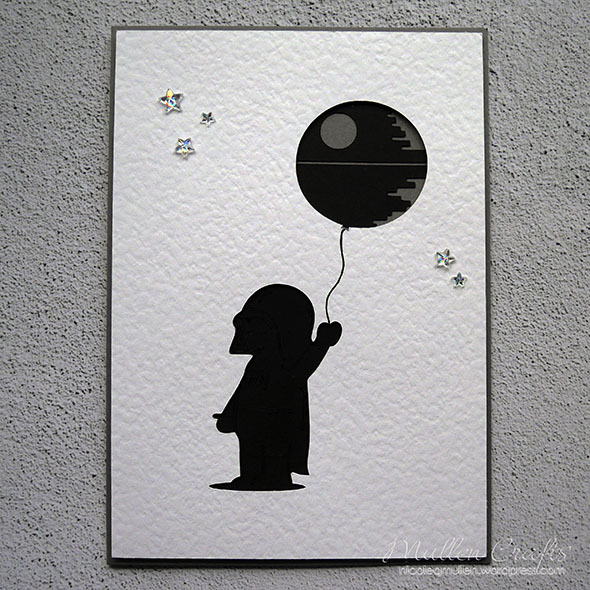 Darth Vader is taking his Death Star balloon for a little walk 🙂 It is a very fun card for any Star Wars fans in your life. I was inspired by this card (and cut file) from Awesome SVG’s, but I switched it up to work for me (and my slightly blunt blades!). The instructions on how I built the layers up and broke down the Awesome SVG’s file are over on the Papermilldirect blog, so do go check it out. Enter your email address to subscribe to this blog and receive notifications of new posts by email - Thank you for following me!! Click here to view all of my craft tutorials in one place! Crafting Ireland – Ireland’s first online crafting magazine! !